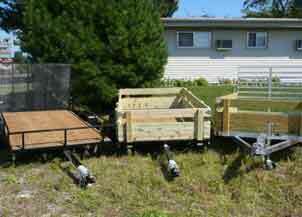 Chilton Trailers are manufactured by the Chilton Manufacturing Corporation based in Chilton, WI. Almost 30 years of experience have led the team at Chilton Manufacturing to produce high quality, durable and great performing trailers. These trailers have many uses from general utility and hauling to specific power sports applications such as ATV’s, snowmobiles, and personal watercraft to transporting small construction and landscape equipment. In addition, custom building of trailers for commercial needs is an additional trailer product that is available from the experts at Chilton Manufacturing.